Welcome to Revive a Drain Plumbing - Local, reliable & trustworthy plumbers in Richmond. If this is a plumbing emergency and you need a local plumber fast, pick up the phone & give us a call. We’re only around the corner so we’ll be there within the hour to fix your problems fast. 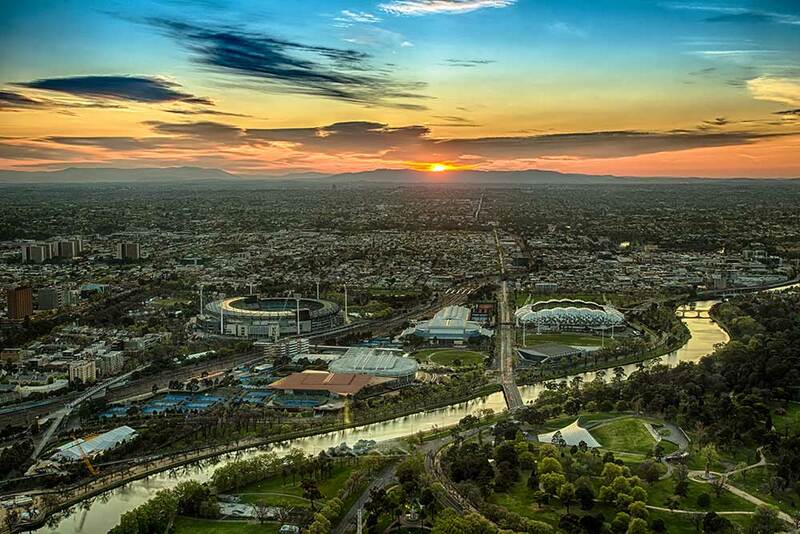 View of Richmond and greater Melbourne area. Revive a Drain has been servicing the Richmond area since the early 2000s and we’ve become well known among its residents. That might have something to do with the high quality of our services, our affordable prices, and our 100% customer satisfaction guarantee. All our work is backed up by a 100% customer satisfaction guarantee. If you’re not satisfied with our work, we’ll keep coming back until you are :-). We offer this guarantee because we doubt you’ll ever have to use it. Our plumbing services are among the best and most affordable in the industry. When you call Revive a Drain, you’ll be serviced by friendly Richmond plumbers that get the job done right, the first time. Don't just take our word for it. We have tonnes of happy customers who rave about our services all the time! We were very happy with the service and honesty highly recommended. I have recommended him on already to other people and will continue to do so. Aaron from Revive a Drain was a great find. I needed a specialist plumber to measure drain depth and circumference regarding council planning requirements for a unit development. Aaron was great he was happy to work with the draughtsman and the real estate agent as the current property is tenanted. Where most tradesmen would find it too much trouble Aaron just did it. I have recommended him on already to other people and will continue to do so. We are on call 24/7 providing emergency plumbing services to the entire Richmond area. Whether it’s Saturday night, Sunday morning, or Monday at 3pm, we’ll be ready to take your call and solve your plumbing problems fast. Emergency plumbing services are among our specialities and we’ve been doing this for so long, we’ve seen it all. From leaking taps & toilets to burst pipes & gas leaks, if it’s an emergency, please give us a call. There’s no doubt in our mind that we are Richmond’s blocked drain specialists. In fact, we’re positive we’re Melbourne’s drainage specialists too. Why? Because we use use the latest in German technology & equipment to unblock & repair drains faster, cheaper & better than our competition. That's a huge claim, but we stand by it. You can read more about how effective our drain relining technology is here. When you’re a commercial business and a plumbing problem strikes, the effects can be disastrous. Maybe your toilet floods your venue’s bathroom, a gas leak causes a full evacuation, or maybe it’s as simple as an old kitchen needing a replacement. As a business ourselves, we understand how problems like these effect your bottom line. That’s why we guarantee that we’ll be quick to act when you call us and we won’t charge you through the roof when we get there. This is the kind of service you can expect when you call Revive a Drain, the most reliable & trustworthy plumbers in Richmond.